Chaga 166 dragees. Food supplement. Chaga is a polypore fungus that has traditionally been used for centuries in Russian medicine and folk medicine. Contains valuable, biologically active substances – minerals, iron, manganese, potassium, copper, zinc, further flavonoids, alkaloids, polysaccharides, betulinic acid, organic acids, phytosterols and others. 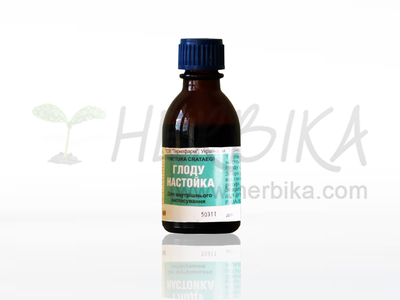 It is used for harmonization and to improve vitality of the body, to optimize metabolic and digestive functions, as an adaptogen and to strengthen immunity. 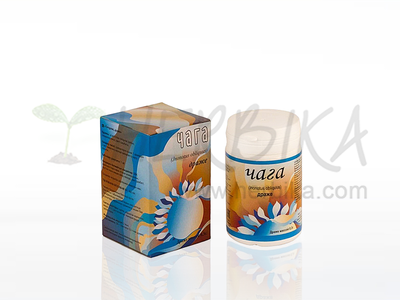 It has antioxidant properties, protects the body against the effects of harmful oxygen radicals. Chaga mushroom has relatively strong anti-cancer effect, while its significant healing effects are especially seen in the digestive system neoplasm therapy. It is also very effective during treatment of chronic inflammation of stomach, stomach ulcers, diseases of duodenum, liver and spleen. 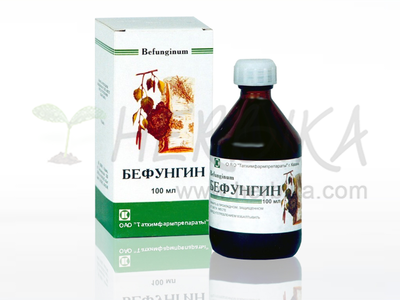 Cinder conk is used during diseases of lymphatic system and various disorders of circulation of lymph. 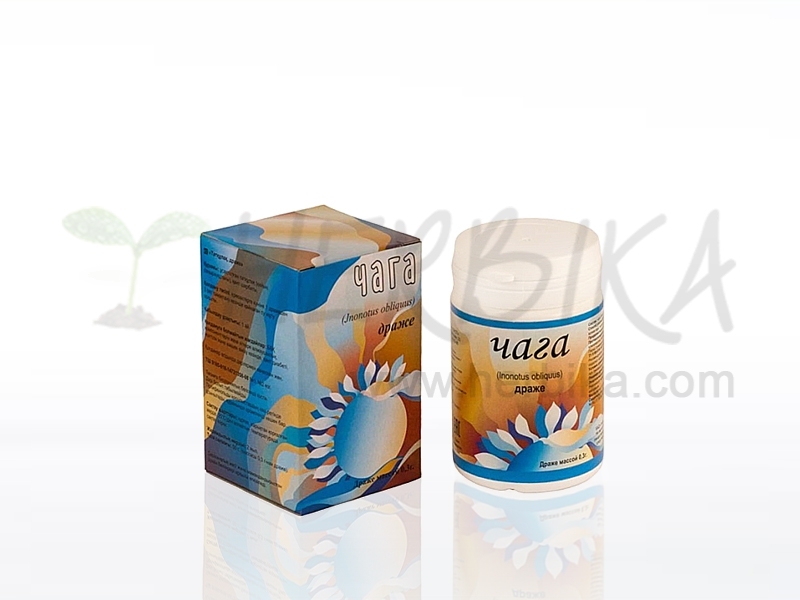 Because of the connection of digestive system with skin problems it is an efficient supportive remedy during treatment of psoriasis, eczema, erythroderma and other skin diseases because it improves metabolism on the cell level and therefore increases resistance of the organism. Chaga also improves function of the nervous system, "strengthens the nerves and brain"". 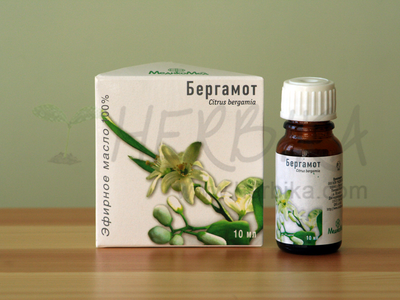 The effect is complex and therefore it is not necessary to combine it with other herbs. The main share of the beneficial influence of Chaga mushroom has melanin which has a similar molecular structure as the natural melanin of the human body and therefore it has the possibility to penetrate the cell structure without any obstacles. The best effect was achieved during the initial stages of oncological diseases. During the advanced stages it may stop growth of new neoplasms, relieve pain and improve the overall condition of the patient. It is strongly recommended to stop eating meat and fat eatables, tins, smoked meat during the treatment. The experience of Russian medicine of many centuries gave an impuls for scientific research of Chaga Cinder conk during treatment of neoplasms. The extensive basic as well as applied pharmacological research of Chaga mushroom concluded in various centers in Russia since the thirties of the 20th century up to present has proven the long experience of the folk medicine. 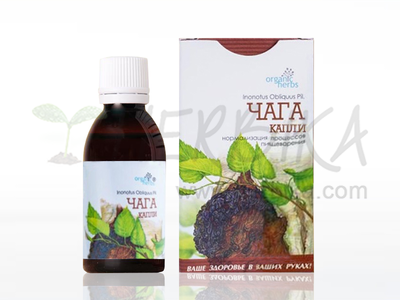 It has been proven that the Chaga Cinder conk extract is an efficient therapeutic and was therefore introduced into the official Russian medicine practise under the name Befungin. The Chaga mushroom (Inonotus obliquus) is indeed legendary. Chaga Cinder conk has been used in Russia as a renowned healing remedy. 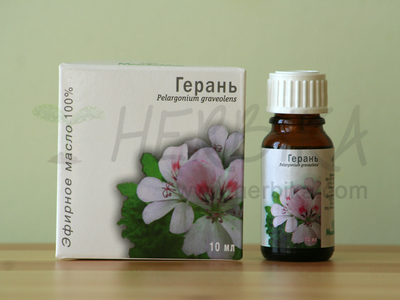 The famous prince Vladimir Monomach used Chaga to treat lips cancer. As an effective anti-cancerous remedy is Chaga introduced into the official Russian list of remedies in 1858.